Fact or Fiction: Eggs balance on their tips on the Equinox? Can eggs really balance on their tips during the Vernal Equinox? 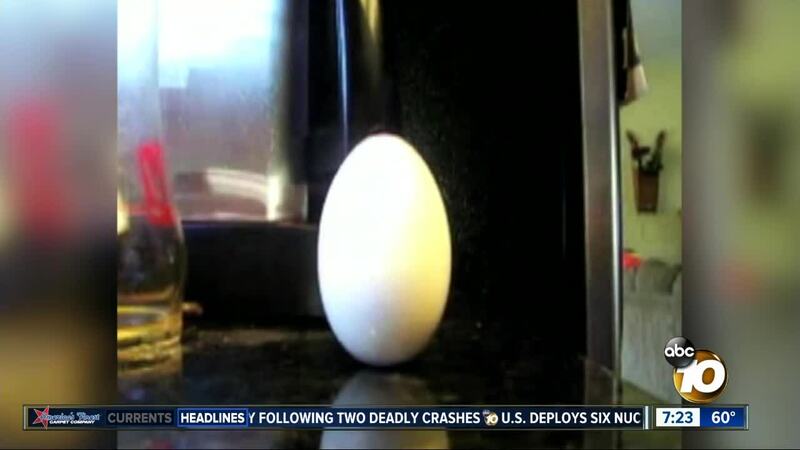 (KGTV) - Can eggs really balance on their tips during the Vernal Equinox? Yes, but you can do it any day. There is nothing about the sun being over the equator that allows eggs to balance on their ends more easily. All you need is a steady hand ... and some patience.